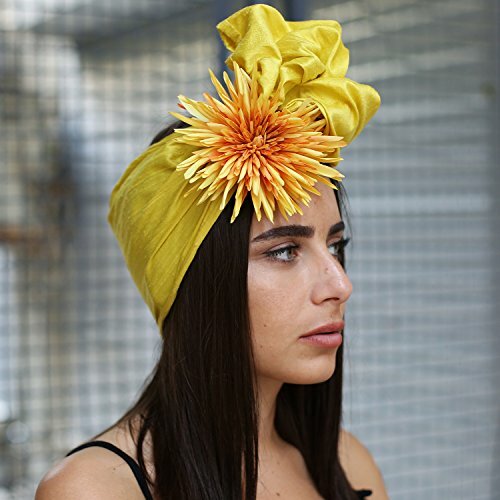 This fascinator is produced of silk. The flower ornament on the head piece at this photo has been used for styling purposes only. The head piece comes without this ornament.